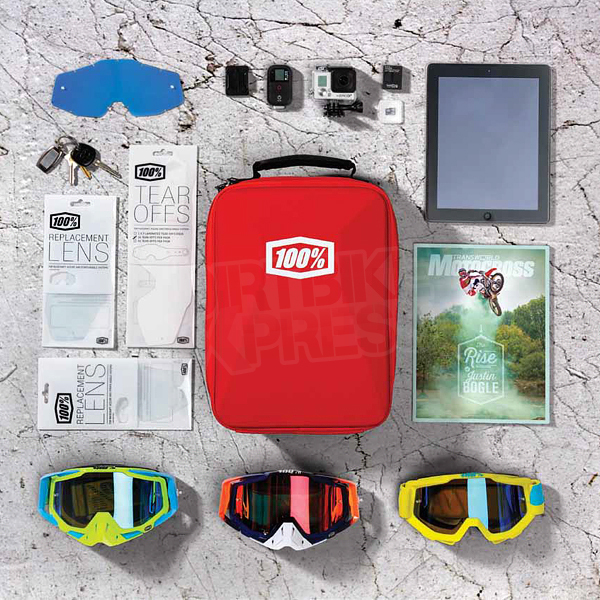 100% motocross goggle cases are brought to you by 100% (Ride 100 Percent). Focus, a point at which an object must be situated with respect to a lens for an image to be well defined. A thin lens is all that stands in your way when you are focused. 100% products can silently help you focus on your competition, enabling you the opportunity to leave it all on the track. 100%, the Spirit of racing. Your goggles are important. 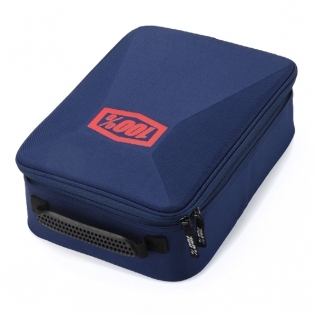 Transport your goggles in style with our custom carrying case. The padded interior keeps all of your goggles, lenses, and accessories neatly organised and perfectly secure. Padded carrying case securely stores up to four goggles and accessories. EVA moulded top panel provides additional protection during transport. 3-D moulded rubber handle ensures a firm grip. Interior pockets organise cell phone, keys, wallet, and additional accessories. 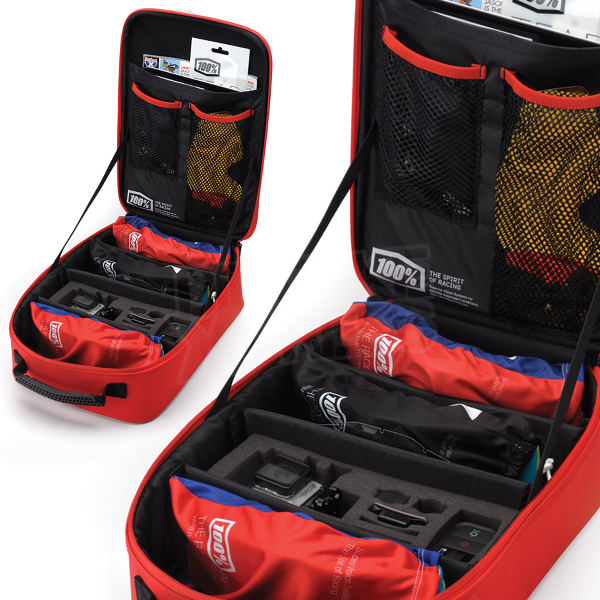 Padded compartment dividers with integrated sleeves to store extra lenses. 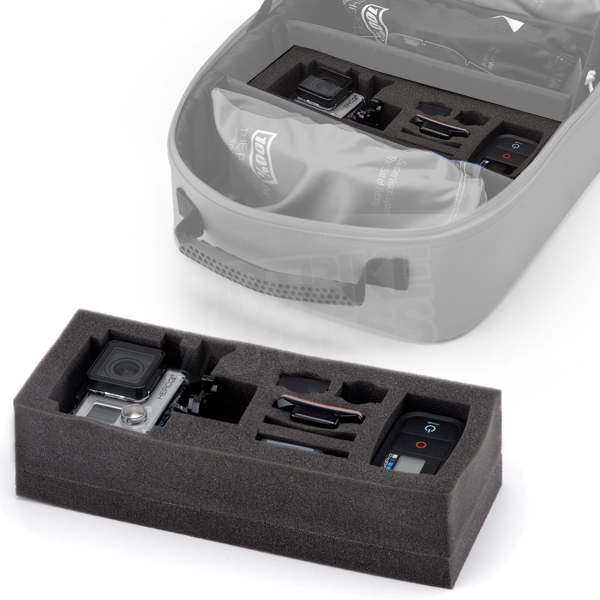 Removable foam insert moulded to safely store your GoPro camera and mounts is included.